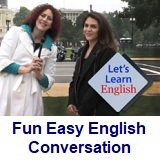 ﻿ Fun Easy English - new classroom free online classes english language lessons speaking listening writing reading january 3. Should English be the world language? 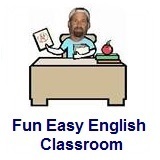 Today in the Fun Easy English classroom you will decide if English should be the world language. Many people already think English is the world language. Watch the video below and then you decide if you think this is true. Hi. In the classroom today you will decide if English should be the world language. Many people think English is already the world language. Still others believe it will become the world language in the future. Some people think English should not be the world language because many countries and cultures will no longer use or speak their languages. It is difficult to know if English should be the world language. This will be a topic of discussion for many years to come. English is the most studied language in the world. As time goes on English will become even more important and a good way for people throughout the world to communicate on at least a basic level. Even though I really love the English language I also know the importance for people of different cultures to retain their identities and speak their native languages. The diversity of people, cultures, and languages is what makes this world such an interesting place. 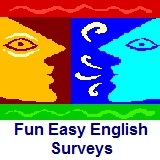 Survey: Should English be the world language? Many people believe English should be the world language. Conversation Lesson 3 - I'm Here!